Referral after referral sees her bumped from suburb to suburb, bewildered, joining busloads of people all clutching white envelopes and hoping for answers. But what is actually wrong with Beth - is anything, in fact, wrong with her? And what strange forces are at work in the system? As the novel reaches its stunning climax, we realise how strange these forces are. Unnerving and brilliant, Some Tests is about waking up one morning and finding your ordinary life changed forever. When Beth wakes one morning feeling a bit off, she decides not to push through what could just be the malaise of modern life. Instead, she sees a doctor. From there her life quickly unravels as she trails around the sprawling suburbs of Melbourne for days, after rebates and referrals. Like Alice down the rabbit hole, she falls into the bewildering network of ‘Third Tier Professionals’, who, with enigmatic intentions, provide a weird but intriguing alternative to the mainstream medical system. 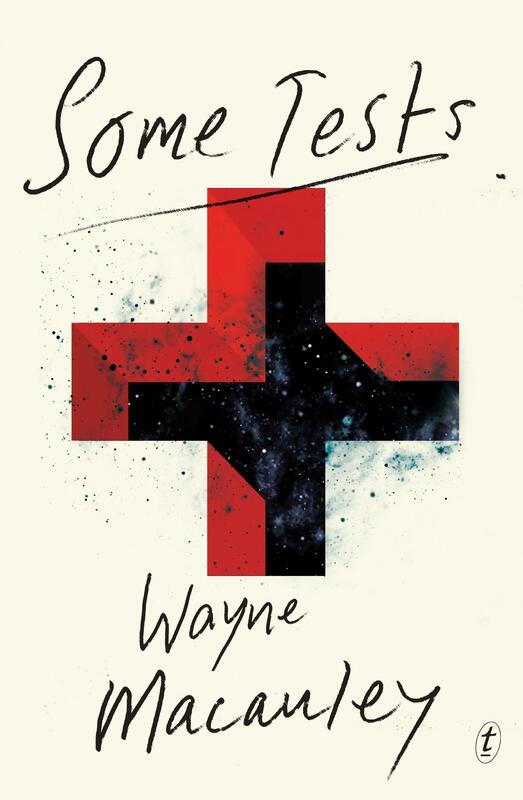 Wayne Macauley’s latest satirical novel, Some Tests, is teeming with ideas. He challenges the limits of duty of care. He questions the point of advances in medical technology that create a gruelling cycle of increased testing, increased diagnoses, increased treatment, increased false hope and then further testing. He queries the point at which we should accept death, and how that should be done. There’s the politics of the patient–doctor relationship, the socioeconomic inequalities of the health system, and how illness can sometimes be a haven in which we hide from our lives. This conceptual cacophony beautifully mirrors the disorienting journey we face when confronted by the unsettling nature of illness, the logistics and politics of the health system, or death itself. You would expect these thought-provoking topics to be heavygoing, but Macauley’s prose is so tight, clean and accessible that we glide through, in much the same way that Beth succumbs to the ‘experts’ and her increasingly bizarre journey. Some Tests is a completely unique offering among the recent spate of books about illness, death and Western medicine. With eerie touches of strangeness that quickly progress to the surreal, Macauley turns the mundane consultation into utterly compelling reading. You will never see a waiting room the same way. Bel Monypenny works as a bookseller at Readings Doncaster.